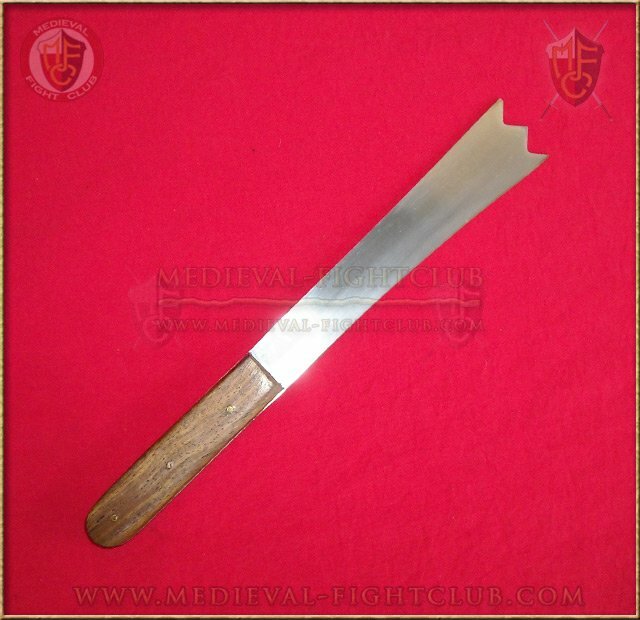 Bread Knife (1250-1380) has one true sharp edge and a false blunt edge. This kind of knife can be seen in the Maciejowski bible and "Cantigas de Santa Maria". Always used in civilian environments, banquets and feast scenes. This knife is fantastic. Gives an authentic old world feel to the kitchen and dining experience every day.